The USA landmark neck lanyards are pre-printed with America's famous point of interest themes. The photo quality landmark lanyards are great for tourist, camping, event, fundraising, giveaway gift or fashion ID or name badge. A great variety of easy adjustable hardware attachment can be attached to lanyard easily. 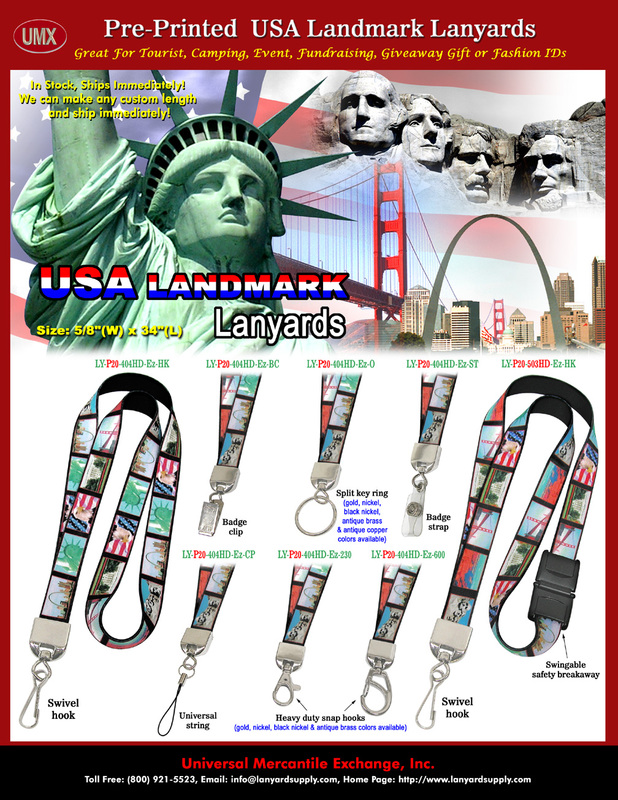 You are viewing Lanyards > Ez-Adjustable Plain and Pattern Printed Neck Wear > 5/8" USA Landmark Neck Lanyards With America's Famous Point of Interest Themes.